I made these for my middle school ELA classes, but this could also be appropriate for 5th or 9th grade ELA classes too. 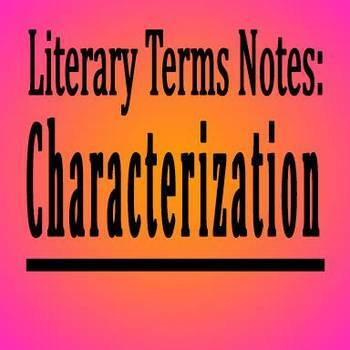 Literary Terms explained: characterization, protagonist, antagonist, dynamic character, static character. 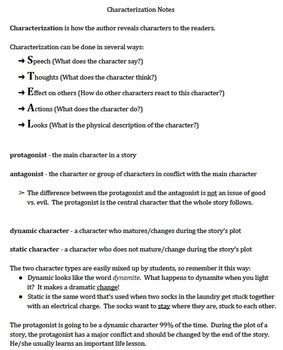 The notes also explain the five methods an author uses to develop his/her characters, which is in an easy-to-remember acronym!